My Perfect You is 2018 Romantic Comedy Starring Pia Wurtzbach, Gerald Anderson, Tonton Gutierrez, Dimples Romano, Wilma Doesn’t and Janus Del Prado. Written and Directed by Cathy - Garcia Molina and Produce under Star Cinema. It premiered on March 14, 2018. The film tells the story of Burn (Gerald Anderson) who lives a seemingly perfect life. After a failed proposal to his girlfriend, Burn’s work performance deteriorated leading to him getting fired. He drives to an unknown location and gets in to an accident which leads him to a resort owned and managed by Abi (Pia Wurtzbach). At first burn is annoyed with Abi’s over optimistic attitude but soon adopts to it which leads to them to slowly fall in love. As burn gets a second chance to fall in love, will it work out or will it lead to another heartbreak. This movies serves as Pia Wurtzbach’s acting debut after years. In the trailer Pia has showed us not only her charisma but her wit and acting skills as well. Despite being out of the acting limelight for years and despite the trailer has only given us glimpses of Pia’s acting chops, its enough for all of us to be curious enough of what Pia might offer us. The trailer was short but it gave us enough laugh and nod to both of her dramatic and comedic lines. Gerald Anderson on the other hand has been long known as a sought after leading man in Philippine cinema. So being Pia’s first leading man was a good head start. 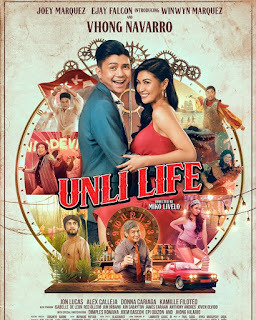 This is also one of Cathy Garcia Molina’s last few movies before a short directing hiatus and for her to offer another romantic comedy with Ms. Universe 2015 Pia Wurtzbach and magnetic Gerald Anderson to lead is sure worth watching. Make sure to be in cinemas near you to catch this one of kind movie.